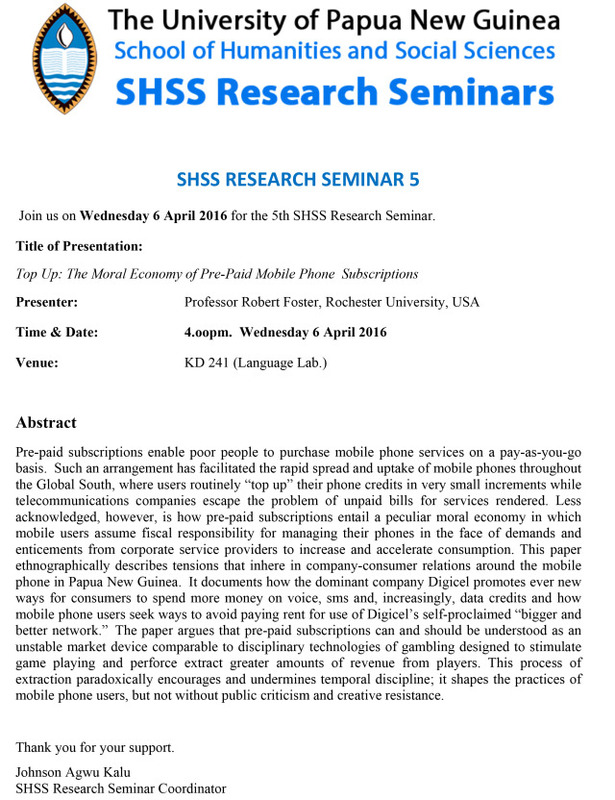 Robert Foster presented “Our Sea of Islands in the Era of Mobile Phones: A view from Papua New Guinea” at the School of Government, Development and International Affairs (SGDIA), Faculty of Business and Economics (FBE) at the University of the South Pacific on 17 March 2016. Epeli Hau’ofa’s celebrated essay Our Sea of islands championed a vision of autonomy and freedom for the people of Oceania based on their longstanding cultivation of interdependence through practices of reciprocity. These practices have enabled the people of Oceania to enlarge their world by expanding the networks through which they circulate not only themselves but also new material resources. 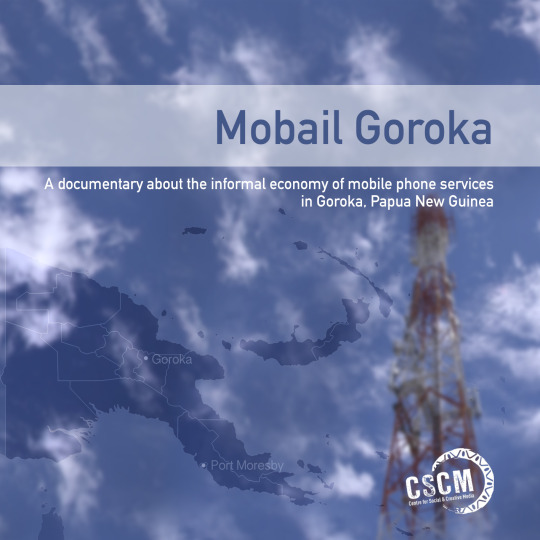 Relatively affordable mobile phone services in the Pacific, largely made possible by the privately owned company Digicel after telecommunications markets were liberalised in the early 2000s, provided people with a new means to enact interdependence. This paper accordingly surveys some of the ways in which people in Papua New Guinea have appropriated mobile phones as a new tool for communication. It does so by considering how the everyday demand for mobile phone services is stimulated by Digicel and satisfied - or not - by ordinary consumers. At the same time, the paper asks if the mobile phone harbours a peculiar form of dependency that rides on the back of the interdependency that it facilitates.